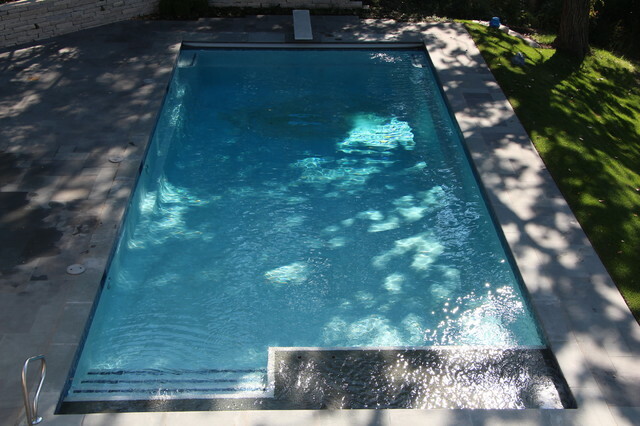 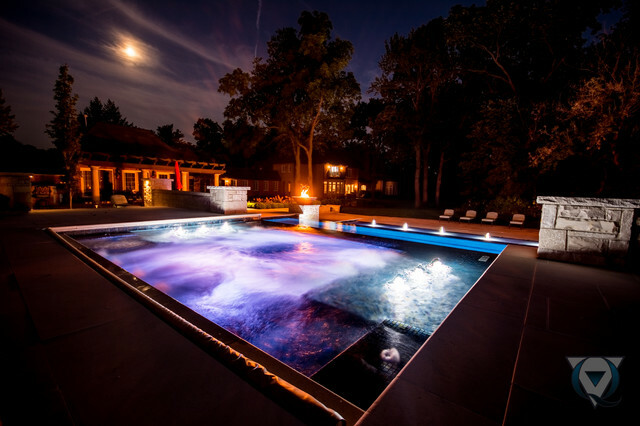 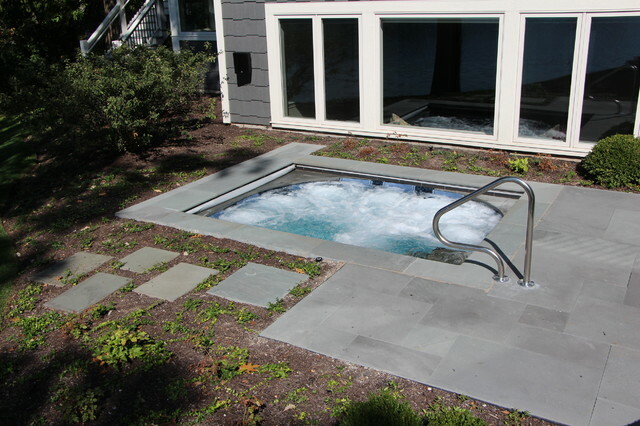 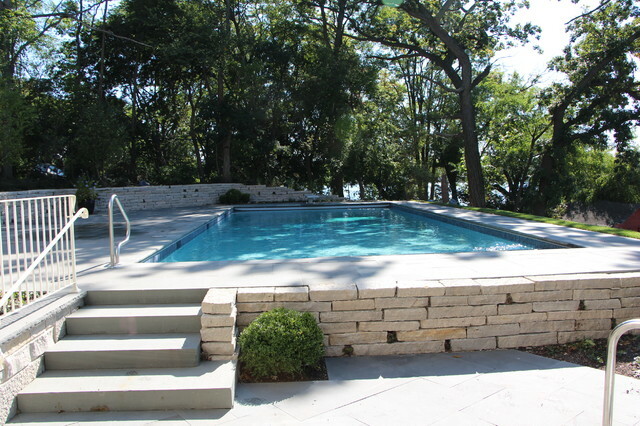 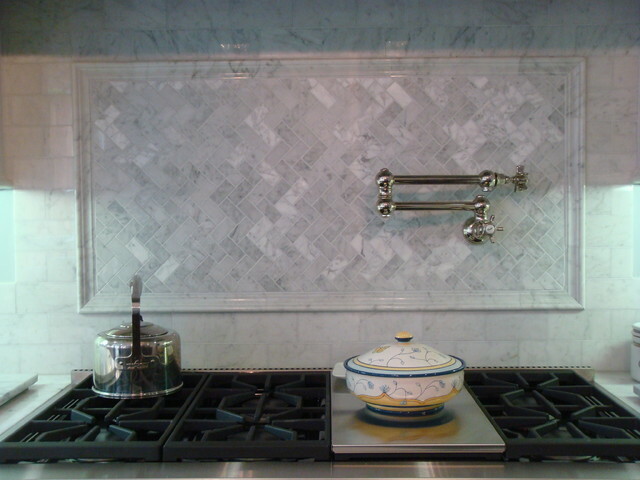 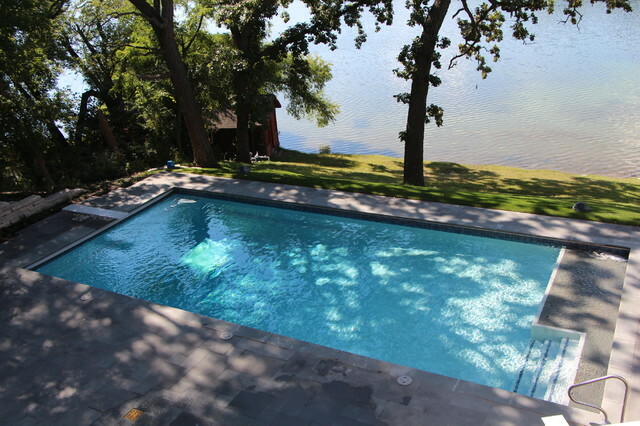 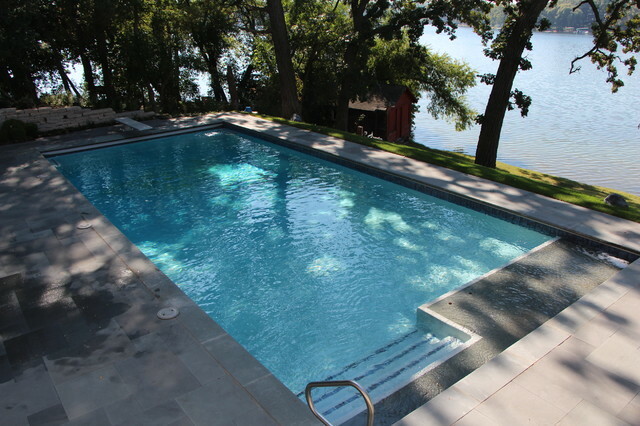 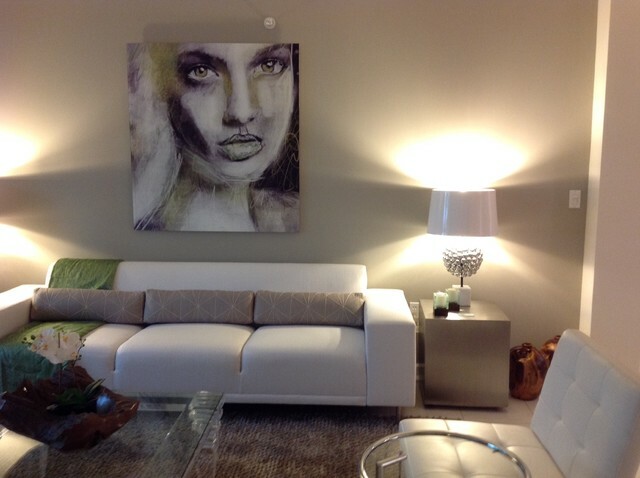 Custom Pool & Spa set on Beautiful Lake Benedict Wisconsin. 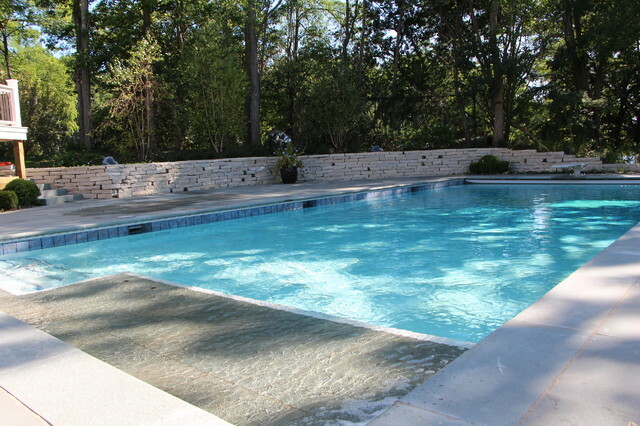 Rich Full Range Bluestone Coping with a Thermal Finish Surrounds the Pool and Spa. 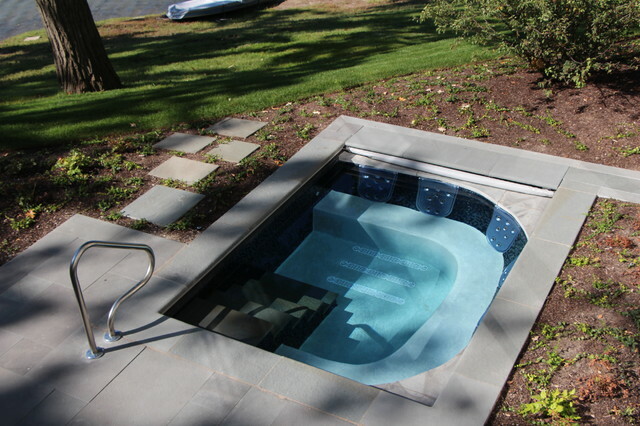 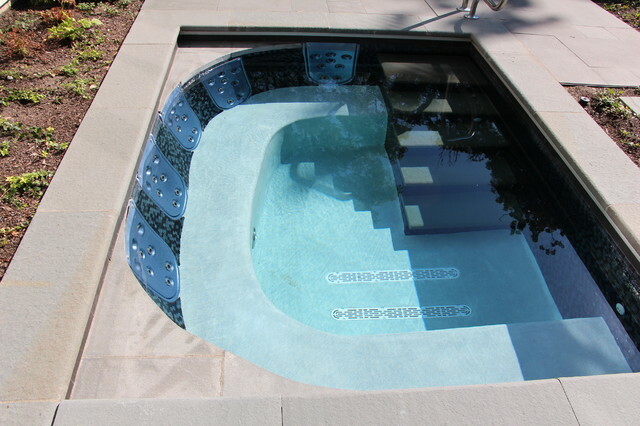 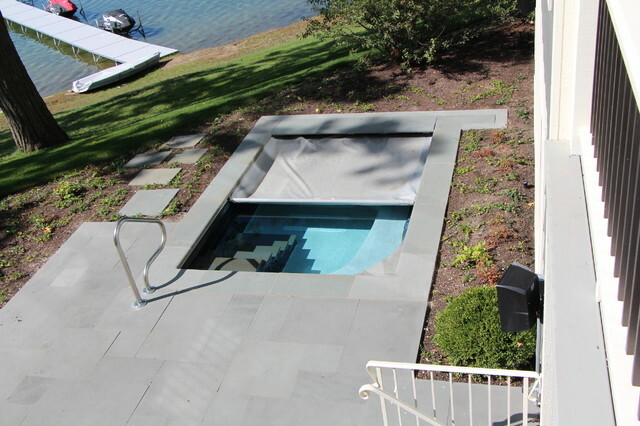 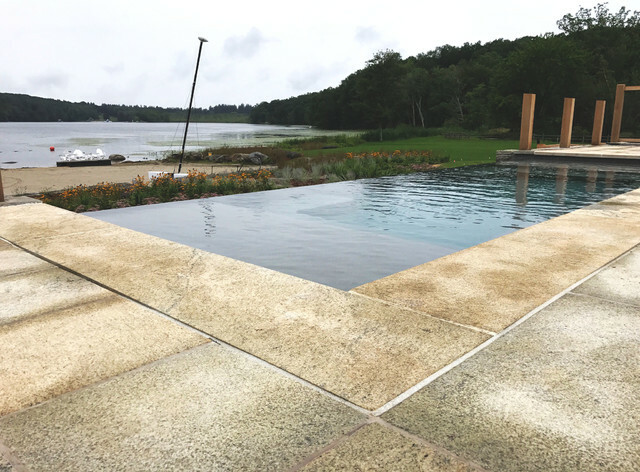 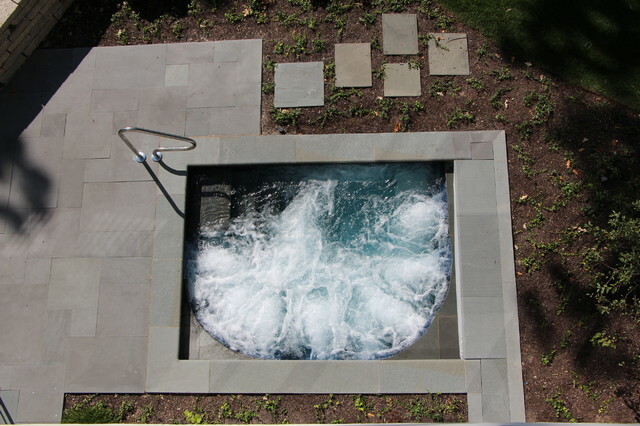 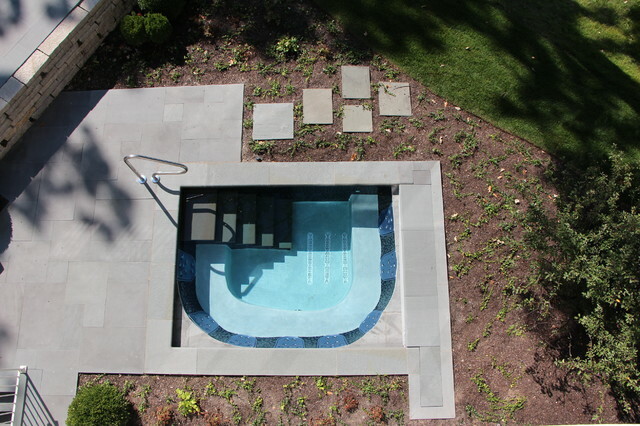 Tanning Ledge inlayed with Full Range Bluestone set into the Pool Shell. 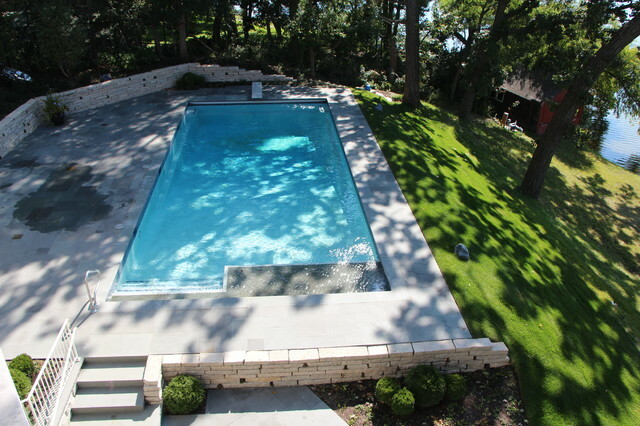 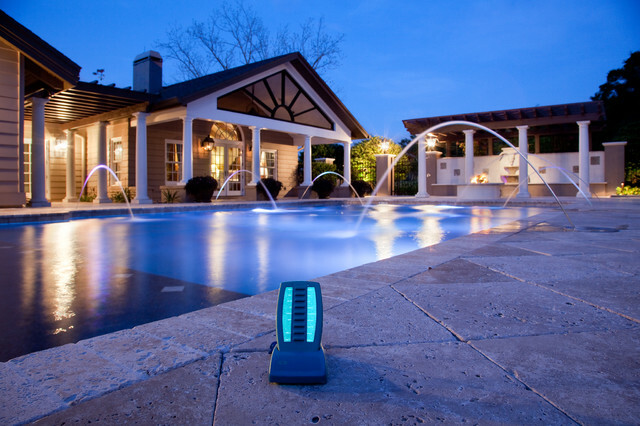 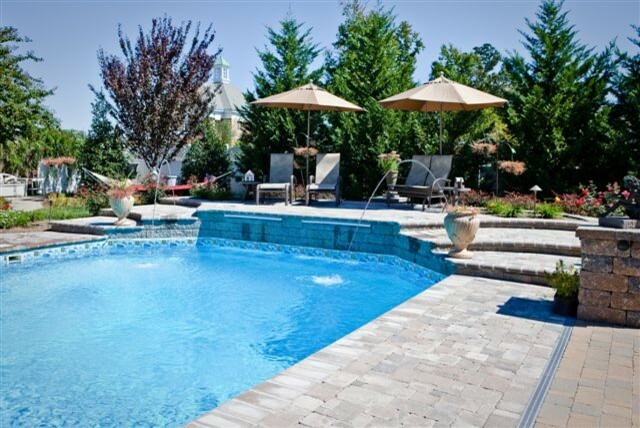 The Pool is 20' x 44' and the Spa is 8' x 14'. 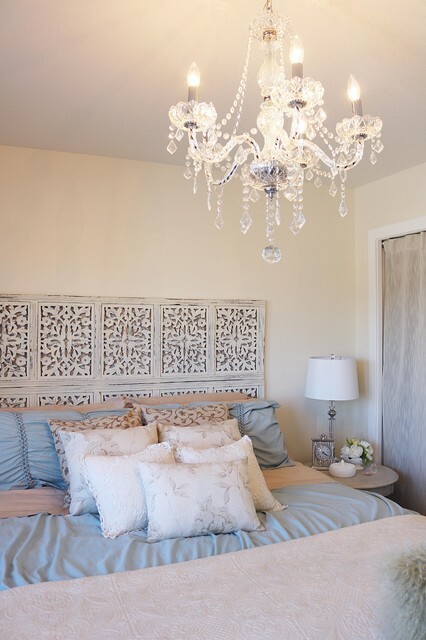 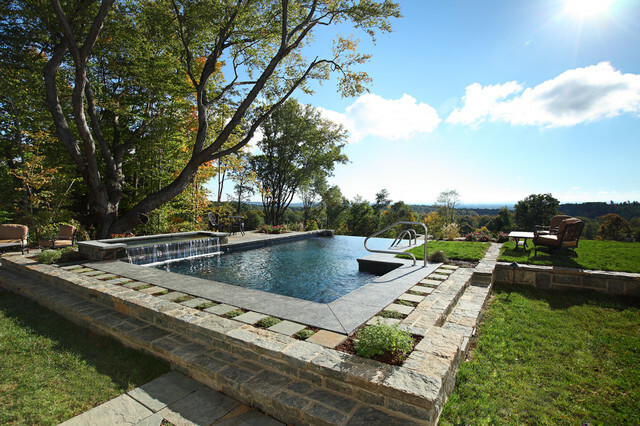 The Spa seating is situated in a way to insure that there is not a bad seat in the house overlooking this private tranquil lake. 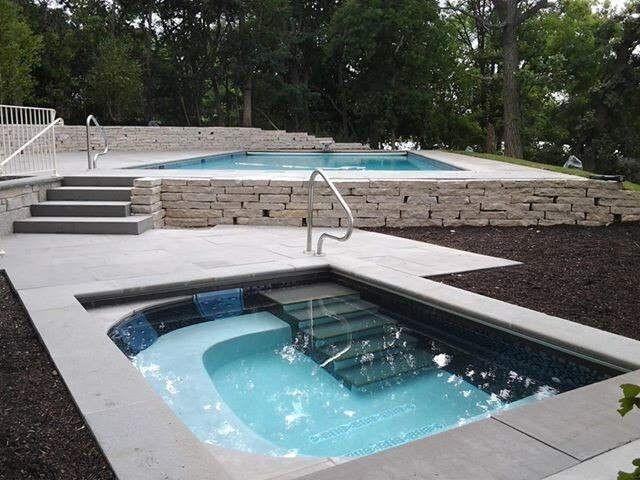 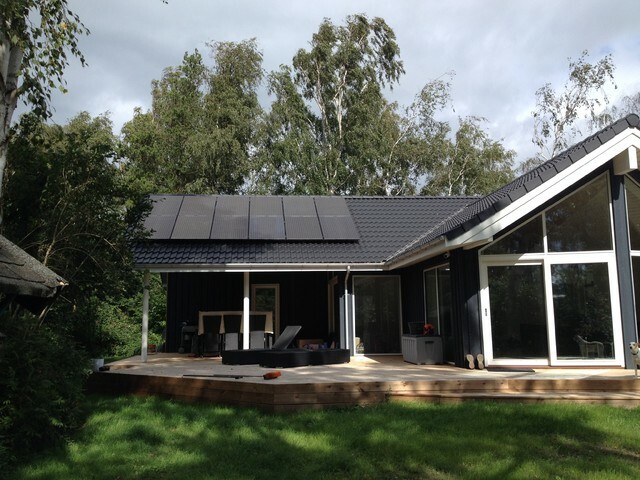 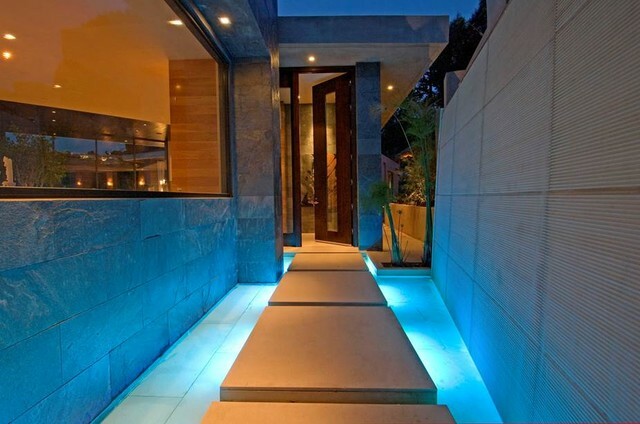 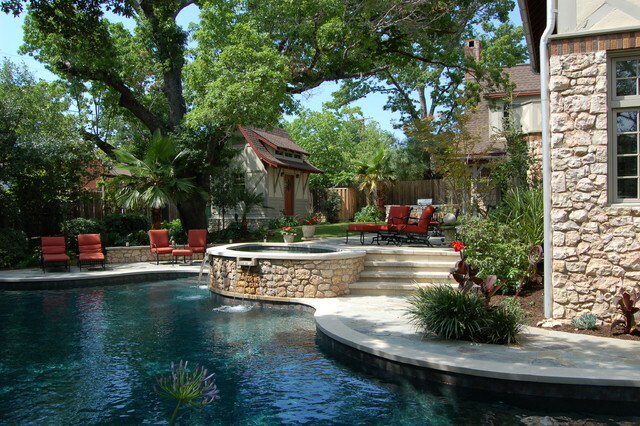 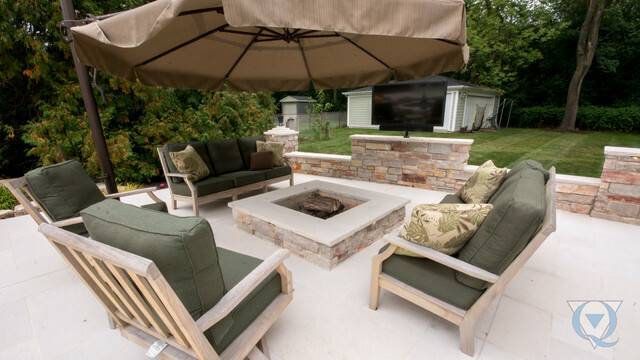 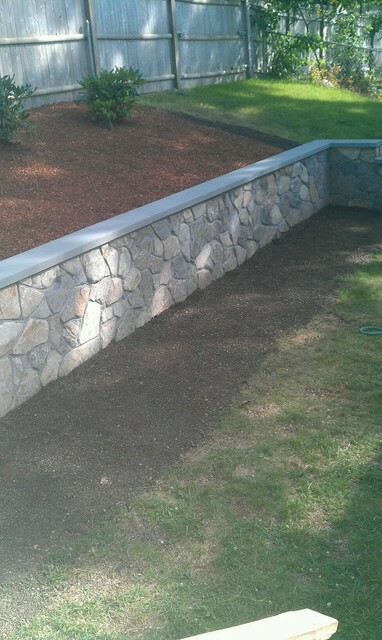 Blue Stone Deck and Natural Stone Retaining Walls put the finishing touches on this spectacular setting.